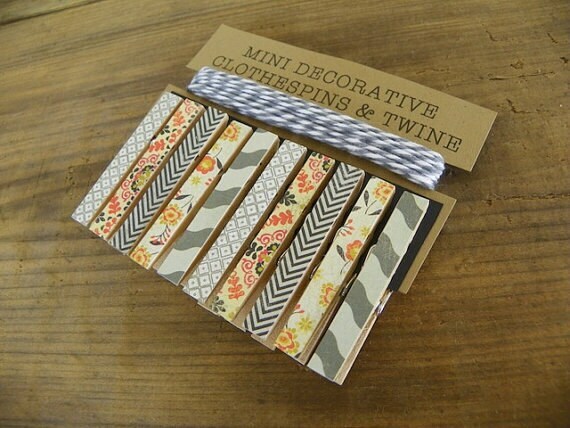 Mini Clothespins with Grey Twine. Shades of Grey. Black Chevron. Orange Flowers. 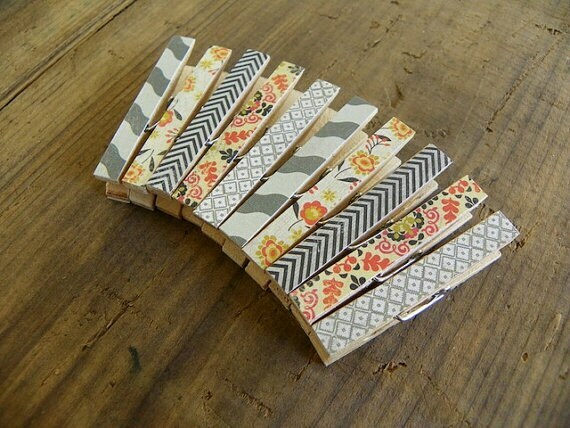 Card holder. Photo clothesline. Kids art display. 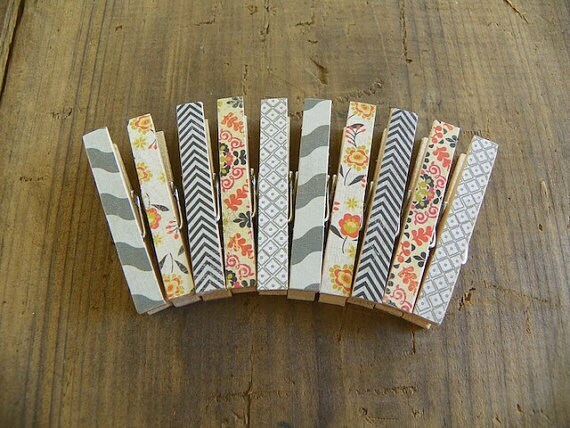 Mini clothespins in shades of grey, black chevron and orange flowers. 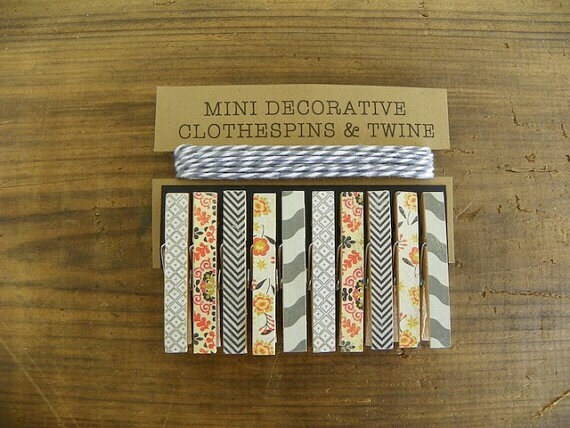 Set of ten (10) mini clothespins and ten (10) feet of grey/white twine.